In the Pulitzer prize–winning classic The Killer Angels, Michael Shaara created the finest Civil War novel of our time. 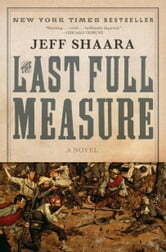 The Last Full Measure tells the epic story of the events following the Battle of Gettysburg and brings to life the final two years of the Civil War. Jeff Shaara dramatizes the escalating confrontation between Robert E. Lee and Ulysses S. Grant—complicated, heroic, and deeply troubled men. For Lee and his Confederate forces, Gettysburg has been an unspeakable disaster, but he is determined to fight to the bitter end; he faces Grant, the decisive, hard-nosed leader the Union army so desperately needs in order to turn the tide of the war. 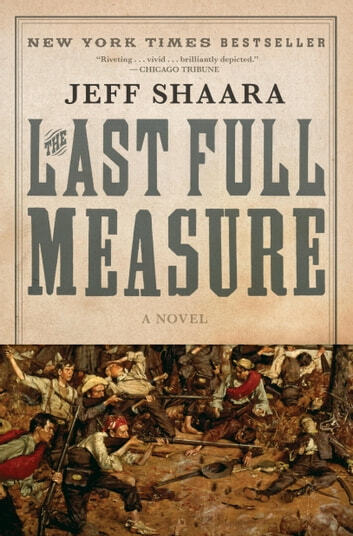 From the costly Battle of the Wilderness to the agonizing seize of Petersburg to Lee’s epoch-making surrender at Appomattox, Shaara portrays the riveting conclusion of the Civil War through the minds and hearts of the individuals who gave their last full measure. BONUS: This edition includes an excerpt from Jeff Shaara's Blaze of Glory.